Piggybacking Credit: FAQs • Piggybacking Tradelines | Tradeline Supply Company LLC. If you’re interested in building credit, you’ve certainly heard the term “piggybacking” before. You have probably heard it described as a way for family members and friends to help each other build credit, which makes piggybacking a practice that many finance-savvy people participate in. If you have questions about piggybacking credit, you’ve come to the right place—our most frequently asked piggybacking questions will help you decide if it’s right for you. What Does Piggybacking Credit Mean? “Piggybacking credit” in its broadest sense is when one person benefits from the credit of someone else. This can be accomplished in many different ways. For example, husbands and wives, parents and children, business owners and employees, and business partners are all common examples of people who often share credit. 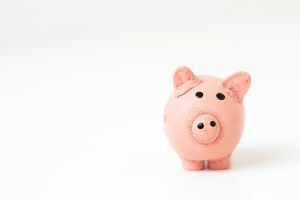 On the other hand, the term piggybacking credit can also refer to the industry where people agree to pay a fee to be added to someone else’s credit account, often as an authorized user on someone else’s credit card or seasoned tradeline. It’s often used as a way for those who are just starting their credit-building journey to add more seasoned accounts to their credit report. There are other ways to piggyback on someone else’s good credit, such as by opening a joint account or having someone serve as a co-signer or guarantor for a loan. Usually, though, when people use the term “piggybacking” they are specifically referring to being added as an authorized user to someone else’s account in order to benefit from being a user of that account. Is Piggybacking Credit Different Than Authorized User Tradelines? As we mentioned, we can define piggybacking more broadly as relying on someone else’s good credit to build your own, but most often it refers to AU tradelines. When you are added to a seasoned tradeline as an authorized user, you are piggybacking credit. Piggybacking has been a popular credit-building technique for decades. Whether you refer to this process as piggybacking credit or as authorized user tradelines, it remains an under-utilized tool for many Americans. Piggybacking credit often occurs when an authorized user is added to a seasoned tradeline. Friends and family will often allow each other to piggyback, but in many cases, it’s difficult to find someone to piggyback credit with. That’s when a third party can come in to help connect people who are looking to purchase tradelines with people who can provide them. Tradeline Supply Company, LLC makes it easy for users to find and purchase the tradelines that are right for them. Though Tradeline Supply Company, LLC cannot provide legal advice, we can cite many sources, including FTC spokesman Frank Dorman, who have indicated that authorized user tradelines are legal. However, it is important to get your tradelines from a reputable source. Some illicit tradeline providers use Credit Profile Numbers (CPNs) to mislead creditors as well as those looking to purchase tradelines. That’s why it’s critical to only work with tradeline companies that don’t work with CPNs—learn more about CPNs and why Tradeline Supply Company, LLC doesn’t accept them. Can It Hurt My Credit? If you’re added as an authorized user to someone else’s credit account, your own credit can be affected by this account. That means that if the account you are added to has late payments or high utilization, it can negatively affect your credit. This is why it’s crucial to use only tradelines with a positive history. These accounts are usually called “seasoned” because they have been in good standing for at least two years, if not more. However, there are some situations where adding authorized users to “unseasoned tradelines” can make sense, which is why we supply both types. To find out more about seasoned tradeline accounts, visit our Seasoned Tradelines FAQ. How Long Will Using Piggybacking Credit Take Before I See It on My Credit Report? The account you are piggybacking on can show up on your credit report in as little as 11 days, depending on several factors relating to the particular tradeline. Each piggybacking tradeline has its own reporting cycle, and Tradeline Supply Company, LLC provides a helpful “purchase-by date” before which you must purchase your tradeline in order for us to guarantee that it will post in the coming reporting cycle. If you miss the purchase-by date, it will simply show up in the following cycle. If you have purchased a seasoned tradeline that you believe has not posted, first check to make sure that the entire reporting period has passed, then check your credit reporting service again to verify that it still has not posted. If you take these steps and determine your tradeline has not posted, please reach out to us for support and we will rectify the situation immediately.